Today’s Office - Wembley Arena. Worcester Wolves won the 2014 BBL Play-Off title at Wembley Arena with a 90-78 victory over ESH Group Newcastle Eagles. The finale of the BBL season and the end of my first year shooting basketball. Looking back over my season, I shot 12 London Lions regular season games including the opening friendly against Iowa University. The NBA game at the O2 between the Atlanta Hawks and Brooklyn Nets and today’s final. Every sport has it’s challenges and basketball is no exception, I have learnt a lot about a sport I knew very little about and more importantly hopefully the images are improving. With the foundations set I am looking forward to next season already. 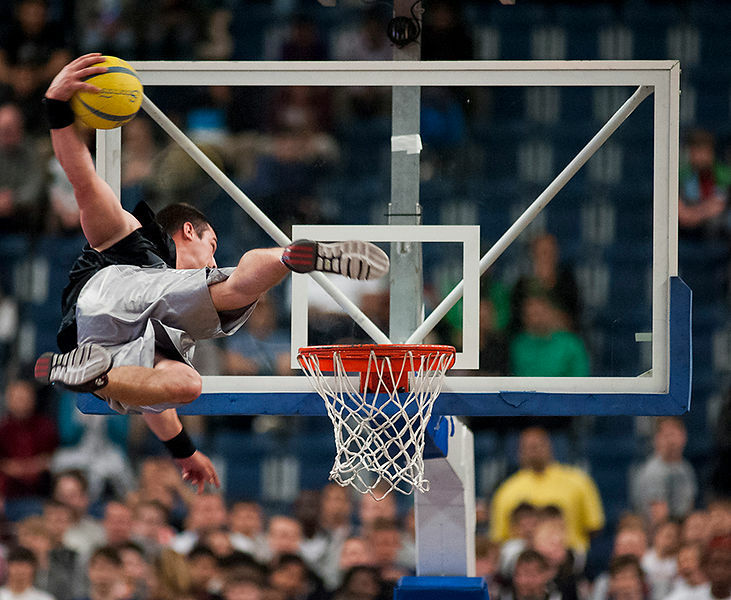 The image is not from the game nor the slam dunk contest - but the half time entertainment from a French acrobatic slam dunk team.